Interrogante - 2013 is a National Level Corporate Business Quiz is organized by Christ University Institute of Management on 5th October, 2013. Christ University Institute of Management held its annual quizzing event, Interrogante, on 5th October, 2013. Interrogante is a national level Corporate Business Quiz. The event was a huge success with 33 corporate teams and 19 student teams participating from all over India. The corporate teams were from India Inc.’s biggest names- TCS, Infosys, GE, Fidelity, IBM, Ford, HSBC, Morpheus Human Consulting, ICICI, TATA Elxsi, Aditya Birla group,Foradien, Maarga Systems, MPG Holdings, HP ,NTT Data, Goldman Sachs, Rambus, Triviatales, HDFC Bank, Teapot entertainment, E&Y, Oracle, PEACE, Deloitte, Target, Picassa Media, ITC, Wizden, ICRA, Reckitt Benckiser, Coface, Bosch, Blue Onion, Flipkart, Sai Mitra and Chennai Silks. 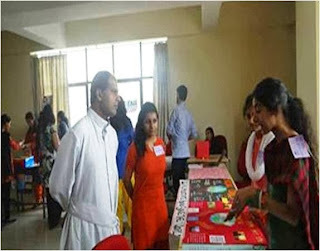 Interrogante 2013 was hosted by prominent quiz master, Mr. Priyambad Pattanayak. Mr Pattanayak is TATA crucible and Brand Equity quiz winner. He is an avid quizzer and has been in the quizzing field for the past 15 years. He has won many a laurels in the quizzing circuit. The event started with the prelims at 1:30 P.M. The questions were based on the current research carried out in the companies, social issues, sports, start ups, brands and also about geographical dimensions of the nations. The top eight teams made it to final round. Meanwhile, there was an open session to the enthusiastic audience. Besides questions for the audience, the answers of the prelims round were also discussed. The finalists fought hard and ensured the scoreboard was ticking throughout. They exhibited excellent quizzing competence. The finals went through 3 rounds, where every team pounced for their share of the points. In the end, the team of Sreekanth and Jeyakanthan of TCS proved their mettle and were crowned the winners of Interrogante 2013. 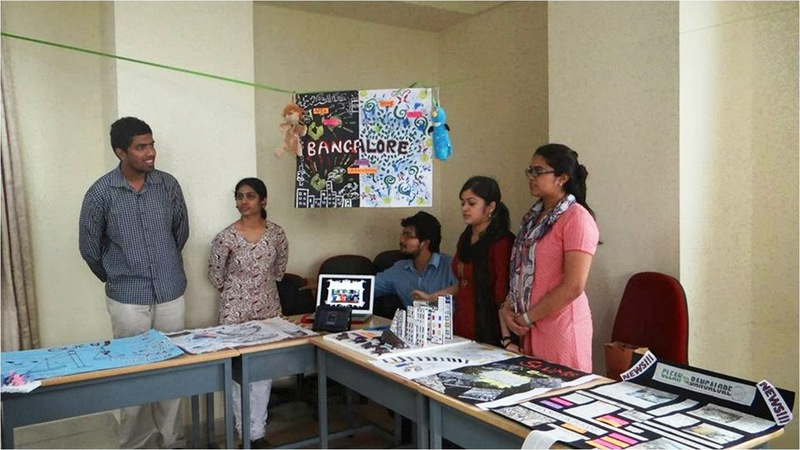 The team of Santosh and Aditya from PEACE and Deloitte respectively were the first runners-up and the team of Naveen Kumar and Yogesh Pai from Sai Mitra and Chennai Silks respectively were the second runners up. The winners of Interrogante 2013 were awarded with a trophy and Rs 50,000 of cash money. The first and second runner ups were awarded with trophies as well as with the cash money of Rs 30,000 and Rs 20,000 respectively. The finalists were rewarded with the gift vouchers and certificates. The students of Christ University Institute of Management ensured that the audience had more than just quizzing for the evening. With a melodious solo song and a sizzling dance performance, the audience cheered in unison. That marked the end of Interrogante 2013. As part of the continuous internal assessment of the Advanced Social Psychology paper the students of the I M.Sc. 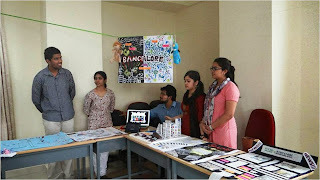 Psychology (Clinical) class organised an exhibition on 23 September 2013, on social issues in the Bangalore metropolis. 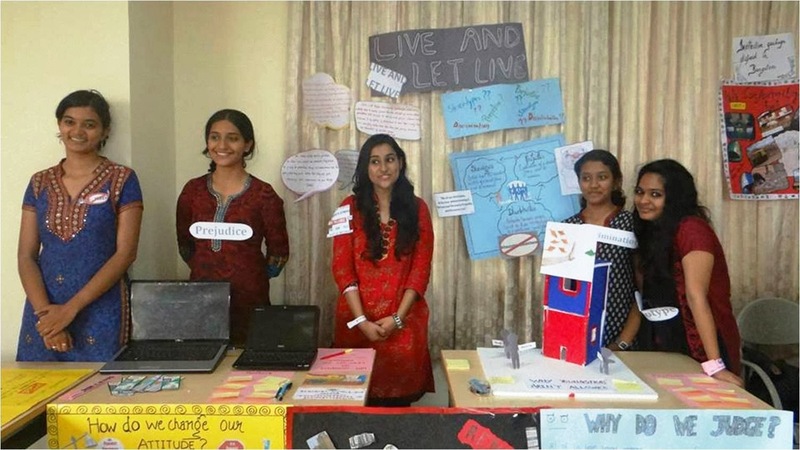 This exhibition was a follow up to an earlier activity in which the students had created blogs and initiated online discussion forums on the same topics. A flash mob was organised as a part of publicity for the exhibition. 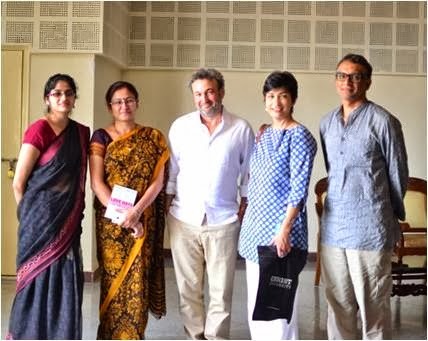 The event was formally inaugurated by Prof. Mallika Krishnaswami, Dean - Humanities and Social Sciences and Dr. Tony Sam George, Head - Department of Psychology. This was followed by a brief address by the dean who emphasised on the educative value of such activities and commended the efforts by the students to raise awareness on pertinent social issues. 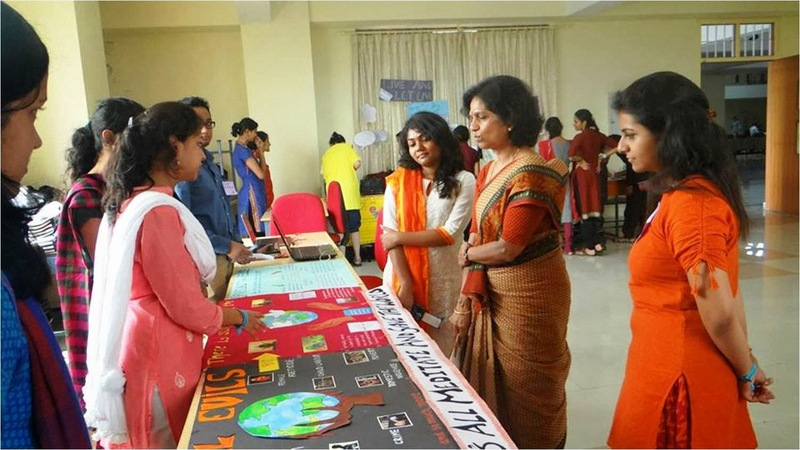 The exhibition was displayed through posters, pictures, videos and pamphlets.It was based on a scientific foundation of social psychology theories and concepts and how they can be applied to change or reinforce prevailing attitudes. 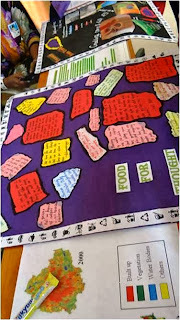 The evaluation was based on an understanding of relevant concepts related to the social issues ,ability to apply relevant theories appropriately to social issues, ability to formulate and develop argments and methods used to communicate the concepts creatively. 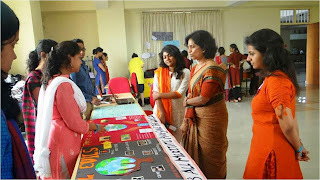 On the whole the exhibition was both intellectually stimulating and gratifying for the students to engage in fruitful discussions with the visitors to the various stalls. The film club is a venture of the Department of Psychology which aims at understanding the popular medium of cinema. It works towards introducing films as a powerful media to students and orients them of the emerging possibilities of interdisciplinary work in film and psychology. 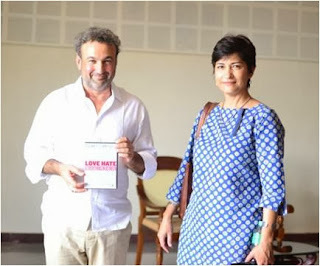 As part of the activities of the Film club, the documentary ‘Love, Hate and Everything in Between’ was screened on 23 September 2013 for the postgraduate and honours students of Psychology.Since the documentary’s completion in 2012, it has been shown in several international film festivals and has had special screenings, including the Royal Society of Arts and Action for Happiness in London and Roots of Empathy in Toronto. The documentary is an attempt to understand the origins of the emotion of empathy and unravel the mysteries of its continued presence despite violence and aggression in human society. It features interviews with neurologists, psychologists and researchers from related disciplines. The panel discussion led to some insightful observations by Ms. Aasita Bali. She pointed out that films are a powerful text and the documentary in particular can be linked to various events that have happened in India, and that makes the documentary an important text for students of psychology. The interactive session with the audience involved someastute and perceptive questions and enlightening answers and comments on the concept of empathy,situations where being empathic is possible and when it is not and its role in understanding psychotic disorders. The session lasted for approximately an hour and left the participants with much critical reflection and food for thought.